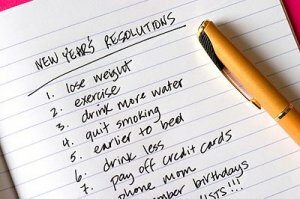 I made my ‘short list' of New Year's resolutions public which is one of the ways that I stay true and on track with my goals. Build a web site? Re-design your existing site for improved conversions? Set specific goals to increase your income? Start a subscriber list? Find ways to build your current list bigger? Invest in training or adopt a mentor? Start a blog? Learn to use social bookmarking techniques? Produce more or better content? Hi Ros, I’m from the Jeremy Palmer school of affiliate marketing. My 2007 resolution is to turn my AM business earnings from the current $250/day to $1000/day. My intention will make it so. May 2007 bring abundance to all! It is nice to make resolutions, any time, though one must have requisite fiscal resources or atleast be confident of getting nearest to the post. As of now, I have resolutions but not too hopeful unless, your tips propel my prospects. Thanks for all the interest and compassion being shown. Happy New Year!!! Just to let you know, you have been my inspiration to start my own site/s this year. 2. Be a better family guy. 4. To make consistently make $4,000+ per month. I know these are attainable. une nouvelle annèe heureuse à toi je prie que 2007 t’apporteront la bonne santè,bonheur et richesse. My list is also short Rosalind. 1. To be an even better husband and dad if I can. 2. to spend more time writing to my customers asking them how they feel I could improve in my article writing and rewriting services to them. I think I am doing OK, but many customers might they that can do better with their own topic though they don’t say so. I will ask them if there are any areas where am I failing them. 3. To list one good website every two weeks so that I can earn enough to let my wife achieve her dream of visiting Egypt before she is too old to enjoy it (don’t let her see this – it’s the ‘old’ I’m worried about, not the ‘Egypt’). 4. To answer all emails sent to me personally. I have decided to write my own info product. This will be my focus for the upcoming few months.